Two months ago we celebrated eleven years of marriage. So much has changed in that time. We are the same, but older, wiser, stronger as a couple, and more in love than ever before, and it’s a good thing. Once upon a time we were just 22 and 21, living in Alaska, becoming good friends, and falling in love. The falling in love part took a little longer for me. Remember how I was afraid to trust you? How I was afraid to believe that you could really love me for the rest of my life, no matter how sick I became? I was very healthy back then compared to what is normal for me now. But even still, I could feel in my body that I was growing weaker. I knew that my future as a wife might look very different than what I hoped. I shared my fears with you and wondered if you really knew what you might be getting into. What if I was sick and couldn’t do all that a wife should do? Would you still stick around knowing that I might become really sick? Could I trust you with my heart? It took some time, but I decided that I could, I should, and I would trust you. I would let you love me, and I would love you in return. I will never regret giving you my trust and my love. You have been faithful not just through the fun and easy beginning of marriage, but through the failing health and hard years of marriage. Your love and faithfulness has not wavered. As my body grows weaker, your love for me has grown stronger. I know that I am safe with you. Thank you for loving me and for being faithful to me. Thank you for caring for me in sickness and in health. Amber and Seth Haines are writing Marriage Letters monthly on their blogs and inviting others to join them. The purpose of the letters is to look at where we are now and at where we have been. Through these letters we hope to encourage others who are just starting out or who are struggling in their marriages. I plan to join in these monthly writings of Marriage Letters. Chronic illness in marriage presents unique challenges. Statistics show that over 75% of marriages with a chronic illness end in divorce. Marriage is challenging, and a chronic illness makes it even harder. 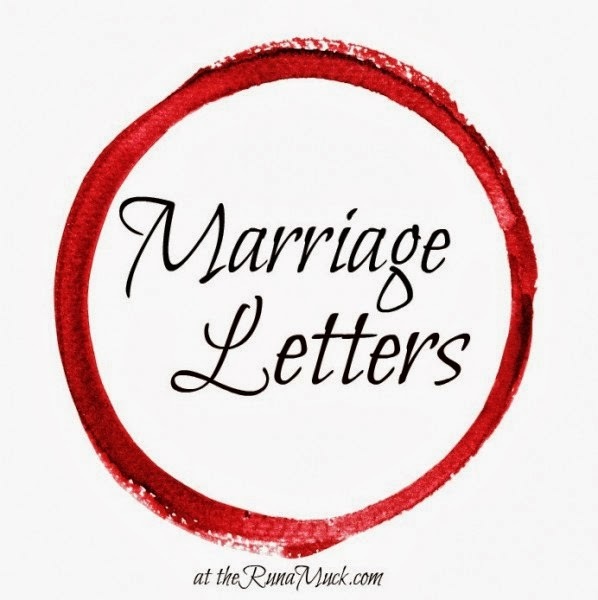 I hope that through writing Marriage Letters each month I will be able to encourage those of you who are dealing with chronic illness in marriage. For our 11th anniversary, Will wrote a letter to me on his blog. You can read it here. Oh this is beautiful!! My best friend who passed away was so blessed by a husband who loved her to the end. He also knowingly entered into that relationship and promised to walk through sickness and health. It was a beautiful picture of love!! Hi Kristin! Thanks for stopping by! That is so wonderful to hear that your friend had a loving and faithful husband too. Their marriage must have been a beautiful picture of Christ loving the church and giving Himself up for her. This is beautiful. Thank you for sharing, Rachel! Thank you, Janie! My prayer is that Jesus will shine through me in this space. Thank you, Emily! And thank you for stopping by. Oh my pleasure :) I love reading your blog. I have a chronic illness and am encouraged by your commitment to Jesus and your joy and peacefulness that comes across even through the Internet. Much love in Christ! Oh thank you! You have brightened my day! I am thankful that this is an encouraging place for you. I look forward to seeing you here again sometime. Love to you too! You're so blessed to have Will. I can imagine how hard if was to trust him. I assume I'll have the same problems if I ever meet someone. But honestly I pray so hard that I'll meet someone who'll stand by my side. I will pray that for you too, Tonya! Oh I'm so glad!! I look forward coming back here again too :) have a fabulous day! Thanks for stopping by! I'm glad I got a good one too. :) I feel truly blessed.